Jay Blades and the team repair a World War I plane propeller, a rusted shoe-stretching machine and two badly damaged windows rescued from a Victorian variety theatre. Resident horologist Steve Fletcher works on a clock that was fashioned from the propeller of a plane that crash-landed in France during World War I. Passed down through the injured pilot's family, Steve must get this piece of history working for future generations. Metal expert Dominic Chinea brings his skills to bear on a rusted and seized-up shoe-stretching machine, one of the few reminders of owner Maggie's parents and their shoe shop. 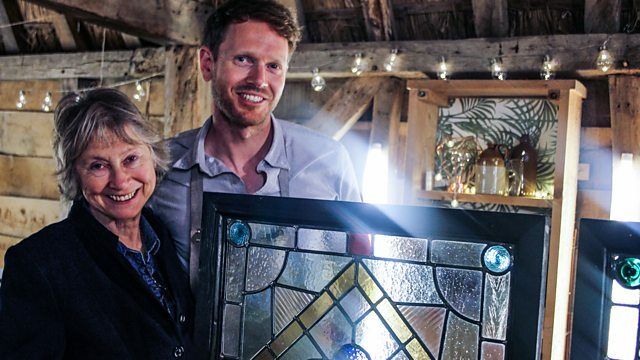 And stained glass expert Matthew Nickels takes on a tricky challenge - restoring two badly damaged windows which were rescued from a Victorian variety theatre shortly before its demolition. Do you need to visit The Repair Shop? If you have a treasured item that needs our experts help, please get in touch now!